Advantages: Good coverage of history and operations plus post-war fate of SAAF Spitfires; plenty of photos and profiles. 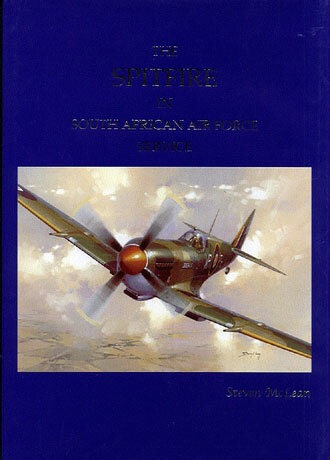 It is with pleasure that we can report on a new book that faithfully documents the history of the Spitfire in service with the South African Air Force (SAAF) down to the list of serial numbers and their individual history. What is even more pleasing is that it even includes a few highlights that we were unaware of. Indeed, we are so impressed with this volume that we would like to attract the attention of other Spitfire fans to it. Hopefully, they will become SAAF enthusiasts in the process. Author Steven McLean has taken considerable pains to trace the history of the ten SAAF squadrons that flew Spitfires during WWII, starting with the Mk. Vb's of 1 Squadron in November 1942. This unit had previously flown Hurricanes. The next was 40 Squadron, who operated their Mk.Vbs in a tactical reconnaissance role, using an oblique camera installed behind the cockpit. These are probably the best known of all SAAF Spitfires, and they are illustrated by several fine colour photos. These aircraft are quite distinctive due to their red/white WR Squadron codes, yellow leading edges and SAAF roundels complete with orange centers, and on some aircraft, azure blue gun patches. 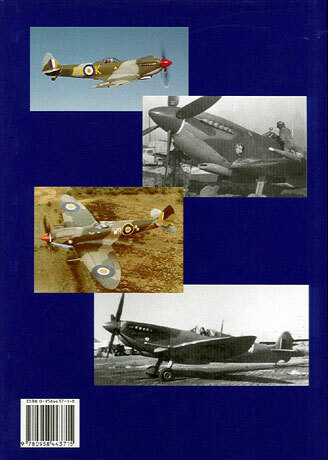 The book also records combat exploits including the massacre of several Me 323 and Ju52 transports flights, and follows the progress of the war from North Africa to Kos, Sicily and finally Italy, during which time the Spitfire MkVIII and MkIX were introduced into SAAF service, both in the reconnaissance, ground attack and high-altitude interceptor roles. Considerable attention is also focussed on the use of 136 Spitfire Mk IX's which were used by the SAAF in the postwar years, including the important role they played familiarising pilots with rockets and bombs prior to their departure for the war in Korea, and culminates with their retirement in1954. The author is also to be lauded on tracing the current whereabouts of ex-SAAF Spitfires including two airframes which are being rebuilt in Australia, or flying in the UK, US, Canada or Brazil (ex-WR-RR/ Evelyne). Of interest to modellers are the numerous camouflage schemes, some of which we have not seen documented in photographic form before, such as the all blue MkVc's operated from Sicily or the post war MkIX's in their natural metal finish. These are complemented by a series of colour profiles. All in all, this will be a very welcome addition in the hands of every Spitfire and SAAF enthusiast. Copies can be purchased from www.aviationshop.co.za ; we are not aware of an overseas agent at the moment.